It turned out that our family lived in the country-side though we were staying on the beach in a fancy hotel that normally catered to Germans. The Hotel Europa –the Best Western was perfect. We arrived in the mid-afternoon, settled our things in, and took rest in our rooms at the sea before changing to go out and explore. 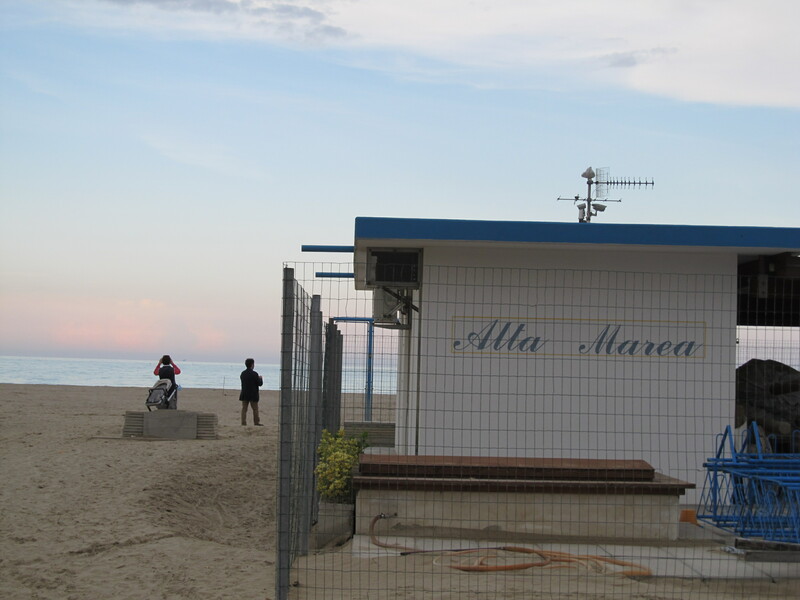 We stopped at a soda-pop-like-shop along our way to the center town of Giulianova at the sea. 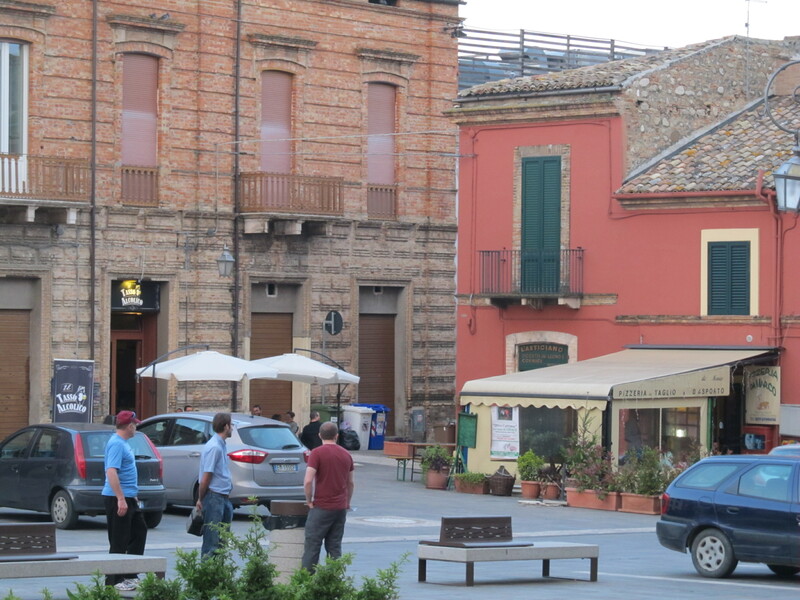 Using my rudimentary Italian I asked about a dinner menu –to which the gentleman behind the bar shook his head. It was only 6:30, too early for dinner. This time in Italy, more than ever, things were accessible -almost familiar, or at least not as foreign to me. 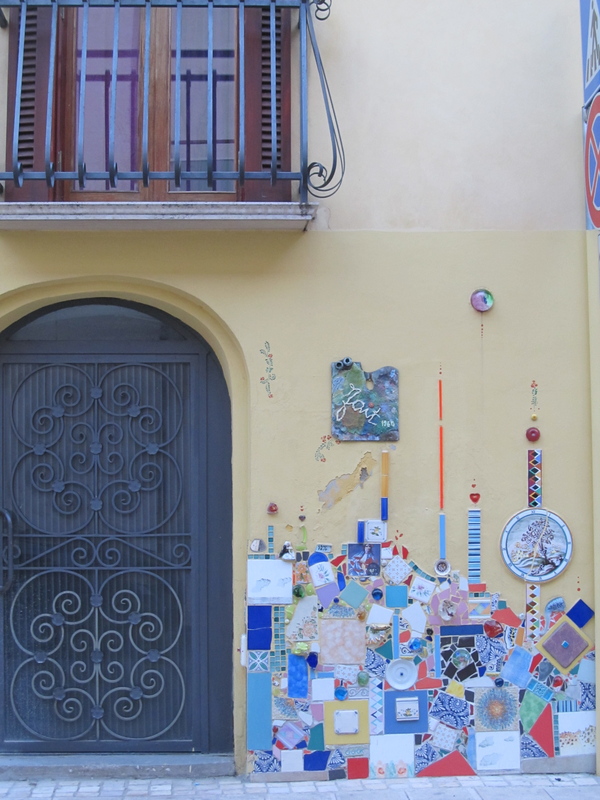 In my third trip to Italy, the novelty of the new culture and place had worn off but was replaced by something more livable –familiarity. Our family, realizing we’re in real Italy and probably won’t be eating before eight decided to stop somewhere and at least get snacks. We’re all sort of tired. It’s exhausting wanting something but not knowing where it is. We ordered: wine and sandwiches. The Italians were having espressos and cappuccinos, still too early in the day, apparently, for wine. There was a fill line on all of the glasses to assure you were getting the .1 liter you’d ordered. When we left the bar we walked down the busy street to get postcards and then went to the beach. The sun setting on the opposite coast made the sky purple with a streak of pink. There were thousands of tiny clam shells. The water was chilly and though I wore my swimsuit I wasn’t ready for swimming yet. The edge was nice, at this sea on a clear day, in the town we were from. We walked back to Hotel Europa and were told by the pretty receptionist we should go to Columbus for dinner.